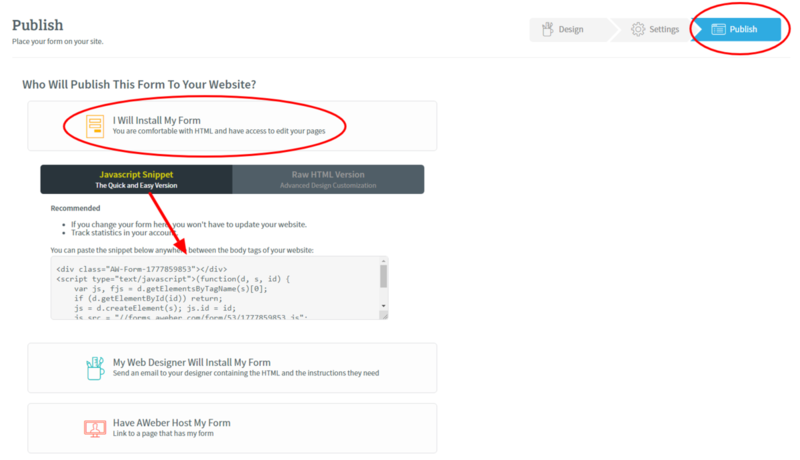 Aweber integration allows you to display your forms from Aweber inside a popup. This is a perfect way to collect new subscribers to your Aweber lists right through a beautiful popup. 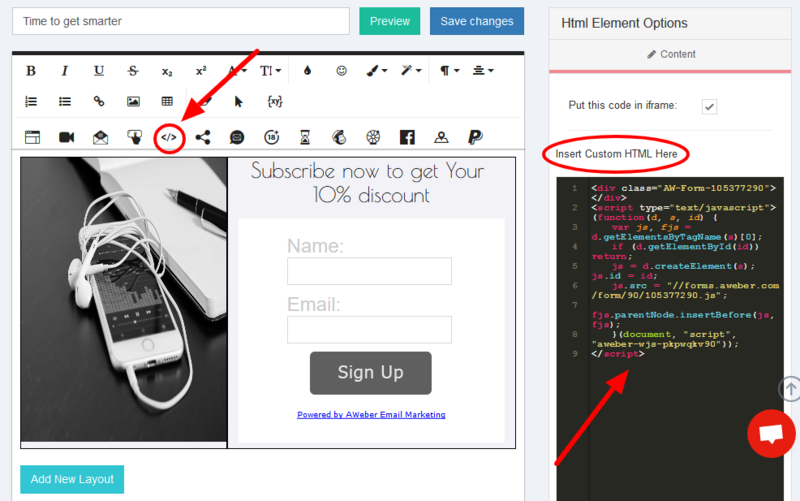 The forms can be used in Popup Maker with embed codes. How to get the embed code? Choose the form and go to the Publish section. Select "I Will Install My Form"